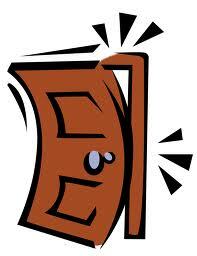 Debtors’ Ability to Strip Second Mortgages: the Door May Be Slammed Shut Soon so File Now! As a Florida consumer bankruptcy attorney, we have been able to remove and strip off second mortgages due to the 11th Circuit’s decision in McNeal a couple years back. It is the only Circuit in the country that allows for a second mortgage lien to be stripped from homestead property. The key has been to show that the home does not have value over and above the amount owed on the first mortgage. Bank of America, N.A. has an appeal in the works that the U.S. Supreme Court has just accepted for review per DS News. So the window may be closing. Anyone who wants to strip their second mortgage on their home should contact a bankruptcy attorney right away — in case the court starts staying cases pending the appellate review, or in the event that the U.S. Supreme Court rules against homeowners. There are plenty of reasons for stripping second mortgages, but there are also reasons for not doing so. With an improving property market, the banks may have a receptive audience in the U.S. Supreme Court for opposing this bankruptcy relief. So act now while you still can!